Futronic FS26EU is a device which combines an optical fingerprint scanner with embedded smart card readers (contact and contactless cards supported). The device is intended for using in two-factor authentication scenario, when a person's fingerprint is compared with a fingerprint template stored on a card. FS26EU is FIPS 201 / PIV compliant and uses the same fingerprint sensor as the FS88. The scanner is able to adapt to fingerprint image quality (wet, dry or blurred fingers) by adjusting illumination intensity. 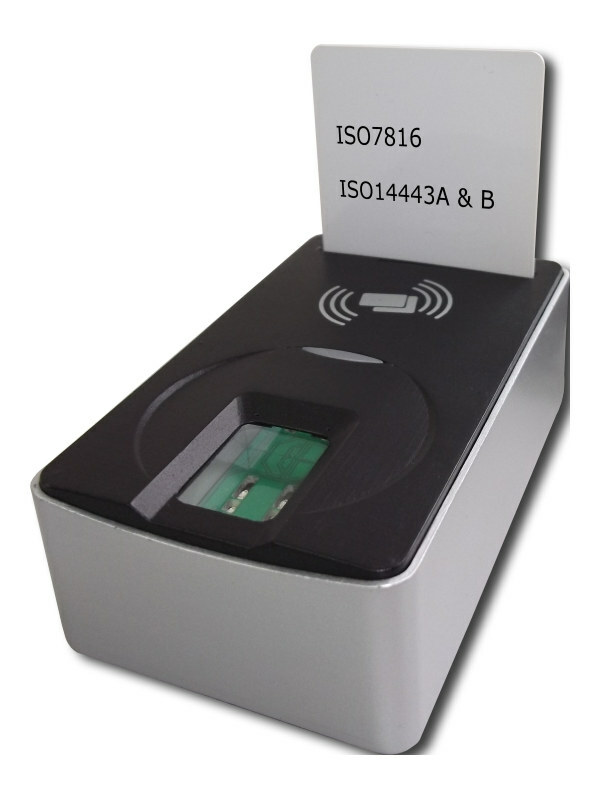 The smart card reader module is able to read ISO7816 contact cards, as well as ISO14443 and Mifare contactless cards.